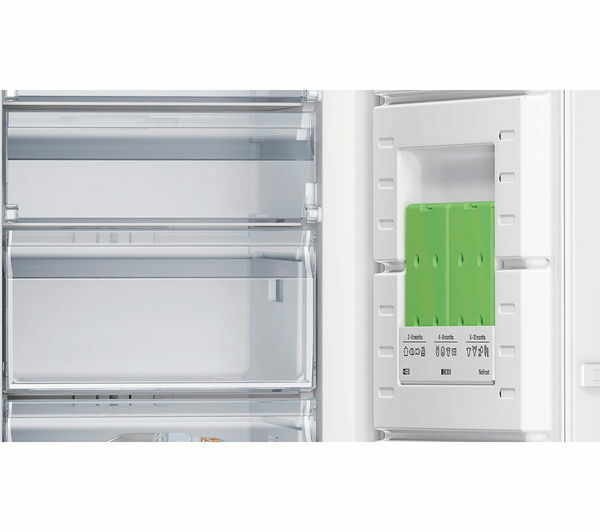 The A++ energy rated Siemens iQ300 GS36 Tall Freezer stores your frozen goods efficiently and effectively, keeping the temperature low and the bills low too. The sleek white freezer will stand tall with style in any kitchen. 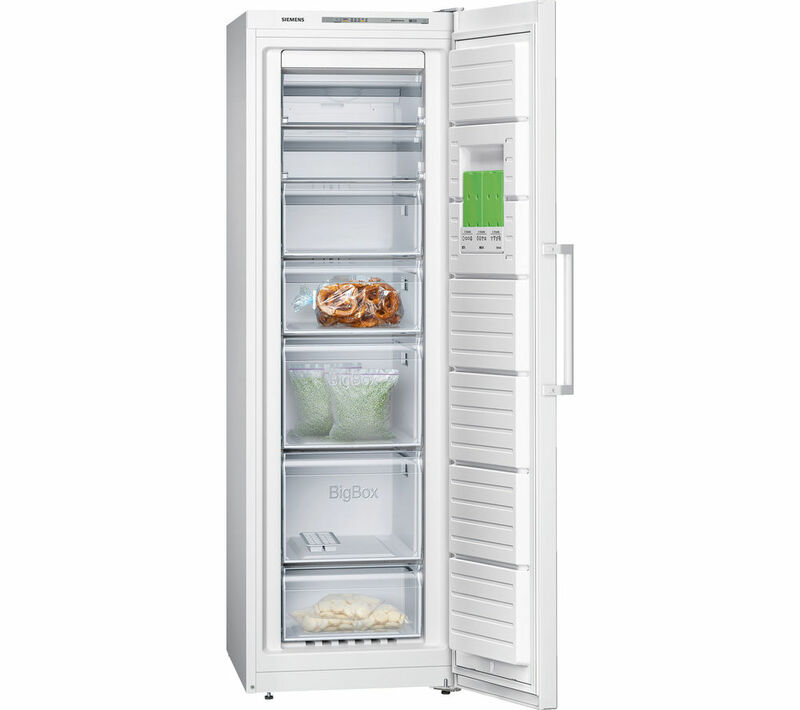 You won't have trouble storing your goods in this large freezer with 255 litres of storage space, across several compartments, providing ample room for your frozen food from the weekly shop. The iQ300 GS36 freezer features ECO+ and noFrost technology where it essentially defrosts itself without having to shut it off manually. And with multiAirflow, this Tall Freezer actively distributes cooled air around the freezer ensuring a uniform temperature on all levels, keeping your food fresh in all compartments. 20 kilograms can be frozen in 24 hours and should the power fail for any reason, your food can be stored safely for up to an impressive 19 hours. 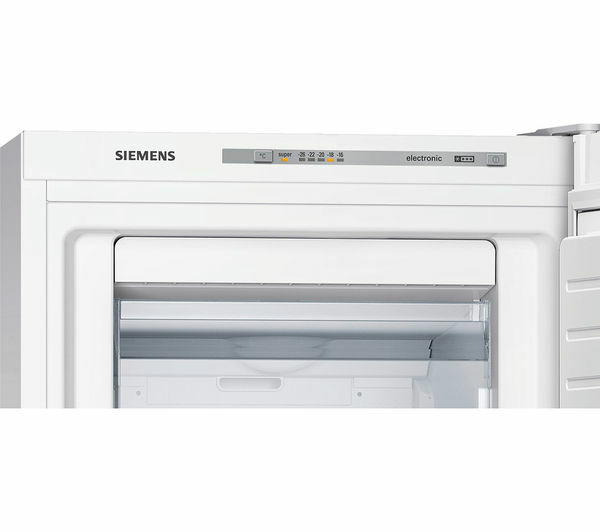 For a frost free freezer solution, look no further than the Siemens iQ300 GS36 Tall Freezer. Use in outbuildings: This refrigerator is not designed to be used in an outbuilding - both your food and the appliance can be damaged. Do not use it in any unheated area.